(sustainable development goals). The year 2030 is the target for SDG achievement. The SDG Index provides a well-rounded picture of India's inclusive growth trajectory, and the status of both national and state-level social, economic, and environmental parameters across 17 goals, 169 targets and 306 national indicators. 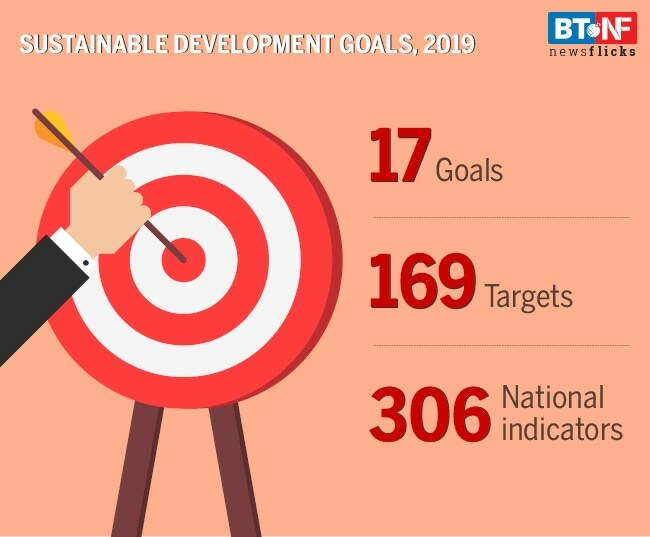 The index took into account 13 out of 17 goals specified by United Nation's as SDGs and left out four goals because of lack of data at the state level.